Village Baker is the kind of place you head to if you want something small in the morning, maybe a muffin or toast. For lunch they offer pizza and sandwiches, but nothing too heavy or filling. Three of us visited and we all wanted toast and coffee. 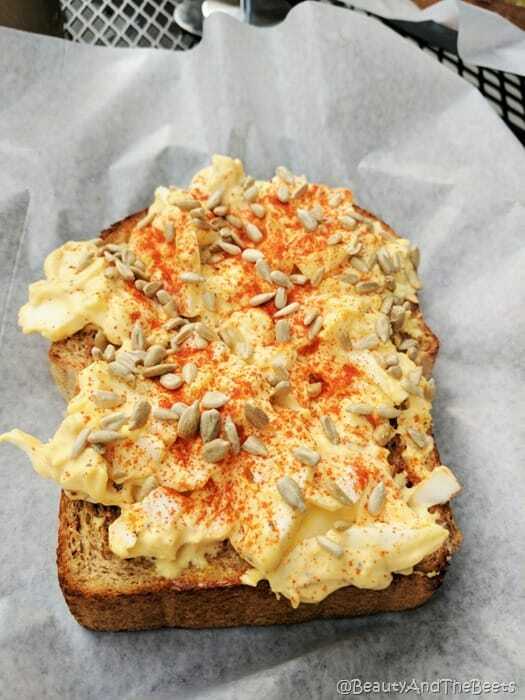 Not just any toast though, Village Baker offers four different varieties – butter and jam, avocado, egg salad, and peanut butter and banana. 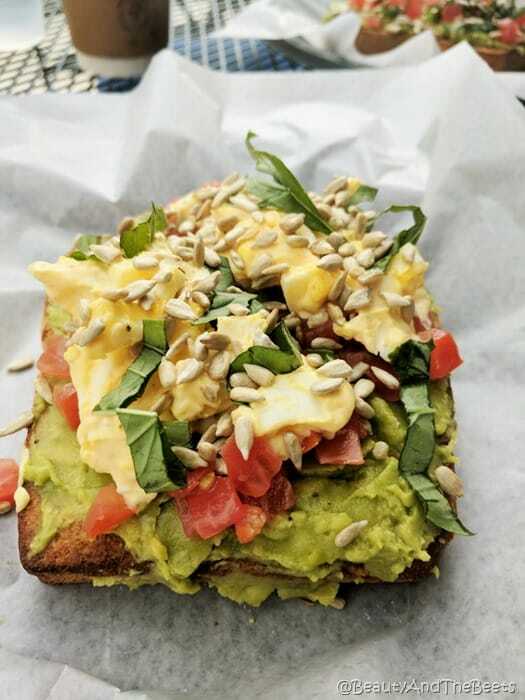 We ordered the avocado toast, the egg salad, and then combined the avocado and egg salad. I loved the egg salad. It was tangy and slightly spicy and piled onto thick and crusty bread. 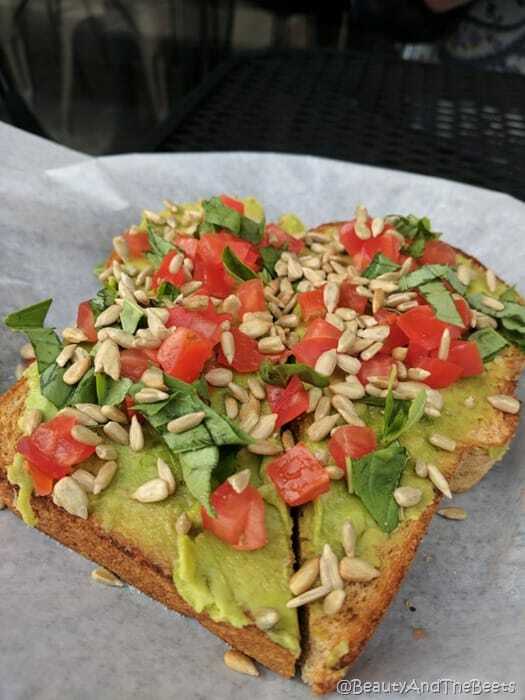 The avocado was good as well, tasty and seasoned well. The best idea was to get both, the earthy satisfaction of the avocado and the creamy egg salad made for a perfect way to start the day. Village Baker has four locations in the Salt Lake Area including one downtown right on South Main Street next to the Eccles Theatre. 4 1/2 out of 5 sprouts. I would LOVE that for breakfast every day.